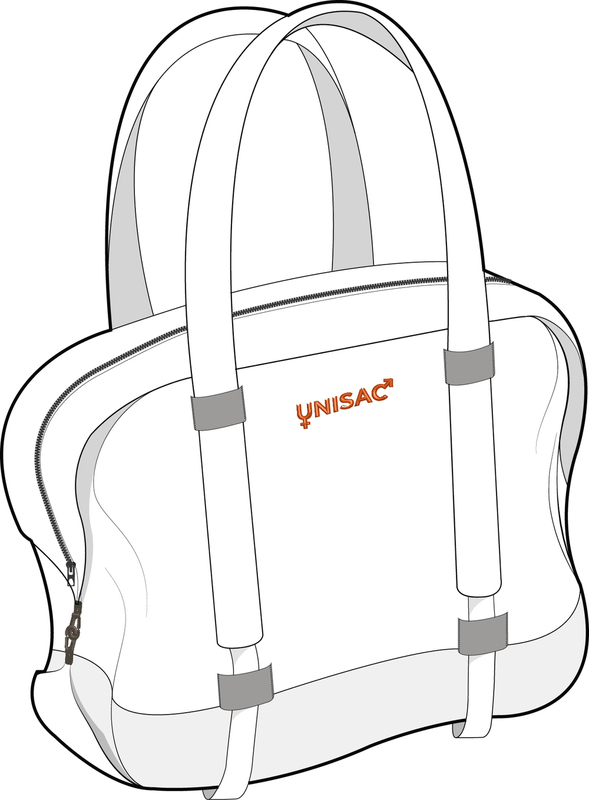 UNISAC is a unique brand and product as it focuses on France’s active youth. With a target market including both male and female consumers, age ranging 15-24 years old; UNISAC has created an urban dweller’s multipurpose bag. This bag will accommodate the young population in many ways, including: education, sports/physical activity, long-wear comfort, durability, waterproof options, travel and style. UNISAC’s multi-wear feature gives our brand and product a competitive advantage over our selected competitors. From duffle to backpack – and everything in between – UNISAC gives our consumers a great feature: it’s convertible. In the fast fashion environment, our demographic is faced with forever changing fashion and style. As this is a key element to French culture, as noted in the previous section, our product can account for multiple styles – sporty, chic and functional. Our one-of-a-kind strap function can eliminate straps and add length. By pulling down the straps and securing them with the adjuster clip, you can make the duffle bag or/and large purse into a backpack. All straps are equipped with comfortable – and necessary – padding, as our consumers are primarily in urban settings, hence walking and using public transportation. The padding will provide long-wear comfort and ease if bag is heavily packed. ned graphics / adobe illustrator + photoshop. 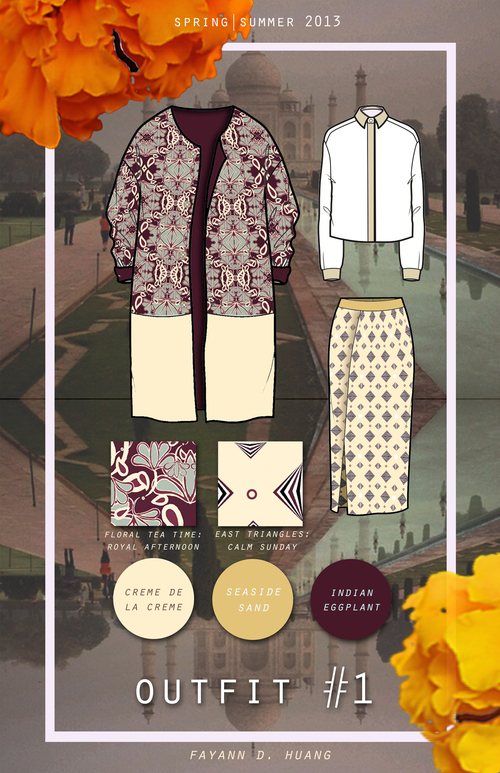 This storyboard is Fayann's final project for a Digital Textile Design class. For this project, she was inspired by the Holi Festival; a Hindu spring festival that celebrates life and worship through boisterous and vibrant explosions of coloured water and coloured powders. She calls it the "Holi Colour Spectrum". The storyboard is designed to showcase the different colours that express this tradition. She then created her own motifs using the Ned Graphics Fashion Design Software, which allowed Fayann to create her own textile repeats and knitwear design using the motifs she had created. She also used Adobe Illustrator and Photoshop to create the complete storyboard.